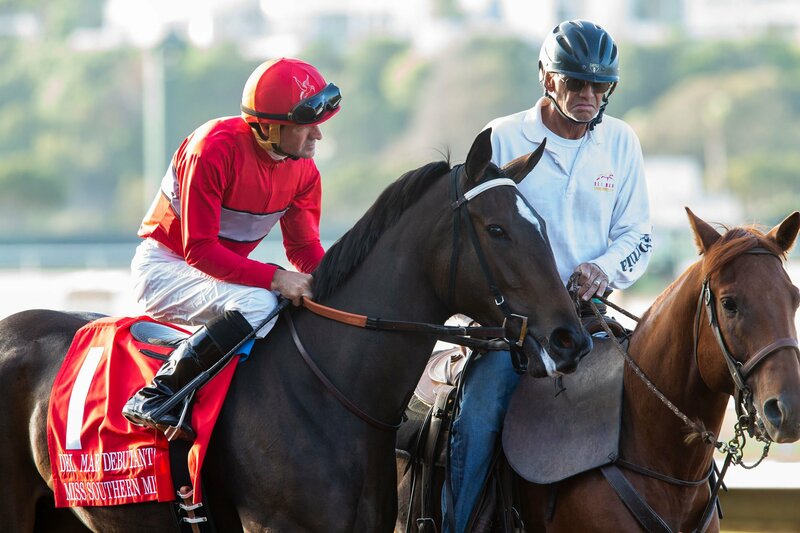 Del Mar Thoroughbred Club begins its fifth season of fall racing Friday, spotlighting older fillies and mares in the $75,000 Kathryn Crosby Stakes at one mile over the infield Jimmy Durante Turf Course. Post time for the first race Friday and throughout the 16-day meeting will be 12:30 p.m., with the lone exception of holiday Thanksgiving when post time will be 11 a.m. Fourteen stakes for a total of $1,950,000 are scheduled for the season which concludes December 2, including the Grade I $300,000 Hollywood Derby on Saturday, December 1, and the $300,000 Matriarch Stakes on closing day. The Kathryn Crosby, honoring the widow of Del Mar’s co-founder, Bing Crosby, attracted a full field of a dozen evenly-matched fillies and mares, including a single also-eligible. Entrants, in post position order, are Gliding By, Evin Roman; Pyscho Sister, Edwin Maldonado; Miss Southern Miss, Assael Espinoza; Excellent Sunset, Mario Gutierrez; Shehastheritestuff, Geovanni Franco; Quebec, Rafael Bejarano; Way to Versailles, Flavien Prat; Tonahutu, Gary Stevens; Escape Clause, Ruben Fuentes; Sweet Charity, Mike Smith; Last Promise Kept, Drayden Van Dyke, and Pantsonfire, Kent Desormeaux. Also eligible is Birdie Gold. Coming into the race in good form and certain to attract support are Gliding By, Excellent Sunset, Quebec, Way to Versailles, Escape Clause and Last Promise Kept.